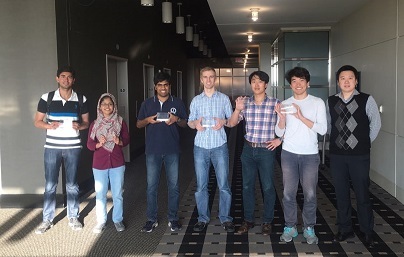 This webpage is designated to publicly recognize the outstanding RFIC student designers who won the Student Design Competition in the ECE6420 Wireless IC class at Georgia Tech. We gratefully acknowledge the sponsorship from Intel Corporation starting from 2015. 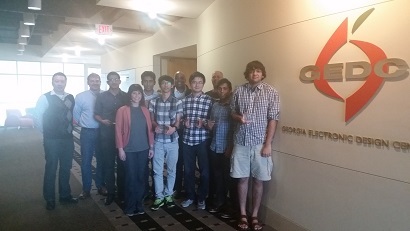 We also acknowledge the past sponsorship from Qualcomm in 2013 and 2014. 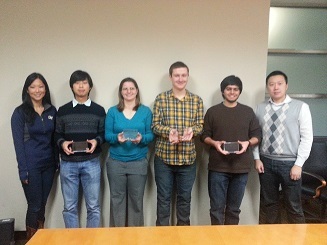 Winner students with their award plaques. Last revised on Dec 8th, 2015.